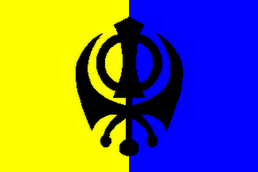 THE ROAD TO KHALISTAN: Flag of Khalistan. I have been trying to get this to work right. For your viewing pleasure! LOL. I'm actually working on it to go just as I wish it. Actually, I developed this from a site called (of all things), Make Sweet. http://www.makesweet.com/. I really prefer making my own animations, but getting a flag to wave is a huge challenge. Certainly the flag of Khalistan waving in the breeze is making sweet. Punjab is an integral part of India so are sikhs living in India. 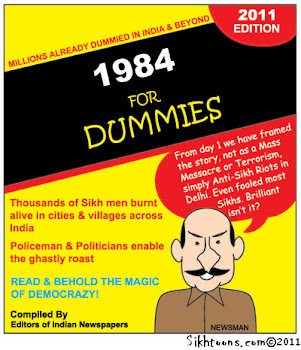 If you want to grab Pakistani Punjab and make it a new country, we will welcome it.